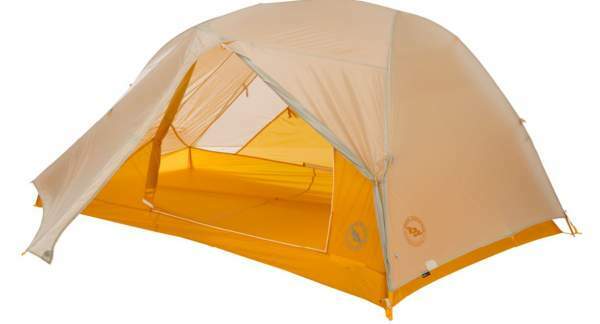 Big Agnes Tiger Wall UL Backpacking Tent is a new ultralight series of tents for 2 and 3 people with DAC aluminum poles, the lightest 2 door tent they have ever built. Big Agnes Tiger Wall UL Tent with rain fly. DAC Featherlite NFL aluminum poles. This tent is available on Amazon. If you follow the link it should redirect you to your local Amazon store so you might save on shipping. This Tiger Wall UL is a new mini-series by Big Agnes and it includes two tents. Their basic specifications are summarized in the table below so you can see the area they offer and the weight. As you see, both tents are incredibly lightweight and this explains the letters UL in the name, which means ultra-light. But you also see that the area is very small, although the 2-person version offers more comfort per user than the 3-person tent. But if the weight is shared, you have 100 grams less per user in the case of the 3-person tent. You have 1.345 lb (595 g) per user. You have the inner area 19 ft² (1.75 m²) per user. You have the total protected area 27 ft² (2.45 m²). So each of the two users would carry 100 grams more but this would also give 5 ft² (0.45 m²) more of the inner area (per user) as compared to the case when they carry the 2-person version. 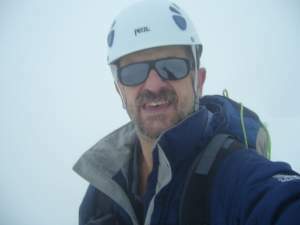 Note that the weight given above is the trail weight, and according to the statement by the brand this is “the weight of the tent components necessary for setup and function”. So this should include the inner tent, the fly, and the poles. The packed weight is a bit different, it includes everything included with purchase. So for the two tents the packed weight is 2 lb 8 oz (1.13 kg) and 2 lb 15 oz (1.33 kg), respectively. These are indeed ultra-light tents, but this brand has even lighter examples. You might check also their Big Agnes Fly Creek HV 2 Platinum tent which is much lighter (but this is a single-door design). You have silicon-treated nylon ripstop on the floor and fly with the polyurethane coating with the declared waterproof rating of 1200 mm. This is a rather small value for the floor and I have seen people complaining about water getting in. The tent’s body is a breathable nylon ripstop and polyester mesh. All seams are taped with waterproof, solvent-free polyurethane tape (No PVC or VOC’s). You have the usual Velcro tabs that connect the fly to the pole. There are two vestibules as you see from the pictures below, so the storage area is the same regardless if this is about 2 or 3 users. In any case this is a very useful space to keep your boots and packs. 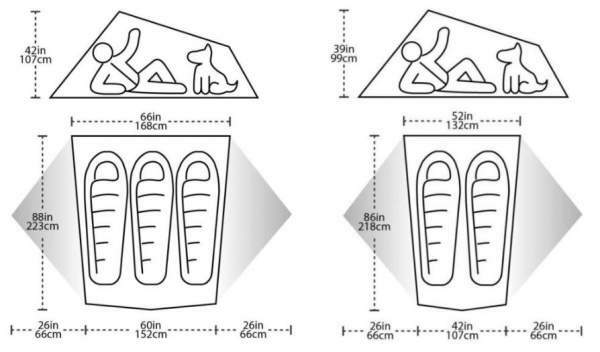 Here you have the floor plan and the dimensions for both tents. Note that the height is different at the two ends between the head and foot sections. So you have it changing in the range 39 – 22 inches (99 – 56 cm) in the UL2 tent, and 42 – 26 inches (107 – 66 cm) in the UL3 tent. This is shown also in the pictures above. This is a freestanding tent with a rather minimal design and you realize this when you inspect its poles. You have the best material used here, this is DAC Featherlite NFL system, a hubbed design with a single pole that is Y-shaped. There is one short pole extra that you attach on the roof so that it pulls the side walls up and make the doors vertical. This adds a lot of volume in the shoulder area. The tent without fly showing its freestanding structure. The poles are self-supporting as soon as you attach them to the grommets. But you have structured foot-end corners that create extra volume and space for your feet. This means that you stake them to the ground. So it would be fair to say that the tent is semi-freestanding. Though Big Agnes describes it as freestanding, you can read more about this terminology here. From what you see you realize that the setup is particularly simple and easy. The pole segments are shock-corded and pre-attached to the hub. There are no sleeves so attaching the tent to the poles is with clips, more simple it can hardly be. This design reminds me of two series by Sierra Designs, the Meteor Tents series and Sweet Suite Tents. Note that the same structure is also in their Big Agnes Fly Creek HV 2 Platinum tent. You have them two, with dual zippers so you can open it in various ways. They roll to the sides and you fix them to the tent. The vestibules create two entry doors with central zippers so you can combine and roll them to the sides as you wish. You wouldn’t expect them many in a minimalist design but this tent shines in this respect. There are huge pockets under the ceiling where you can store lots of small items. It is interesting that they have small openings so you can pass your earbuds to listen to music while your gadget is up in the pocket. There are pockets in the corners at the head side. They are above the floor’s bath-tub side sections, so safe above the ground. Low Vent feature on the vestibule doors for some extra air circulation. Here you have double sliders on the zippers allows so you can vent from the top or bottom. Ready to pitch design with pre-cut guy lines and tensioners that are attached to the fly. You have an easy grip zipper pulls design. Many inner loops to attach gear lofts or other accessories. Footprint is available, shown below, you can order it separately. Footprint weight 2-person: 6 oz (170 g). Footprint weight 3-person: 7 oz (198 g). Footprint can be ordered separately. The tent can be used in the in the Fast Fly variant if you order the footprint. This implies using it as a shelter without the inner tent, with fly, footprint, poles, and stakes. The purpose of the footprint in this case is not only to provide you a layer under the sleeping pad but also to provide grommets as anchors for the poles, see this in the picture below. Fits various gear lofts from Big Agnes (triangle, trapezoid, large trapezoid, wall, and large wall). So if you have them from other tents you can use them here as well. This is the Fast Fly variant with the help of the footprint. Weight-wise, you have seen the weight above, so this is a great example of a backpacking tent. The manufacturer also describes it as such. This appears to be the lightest 2-door backpacking tent they have ever built. 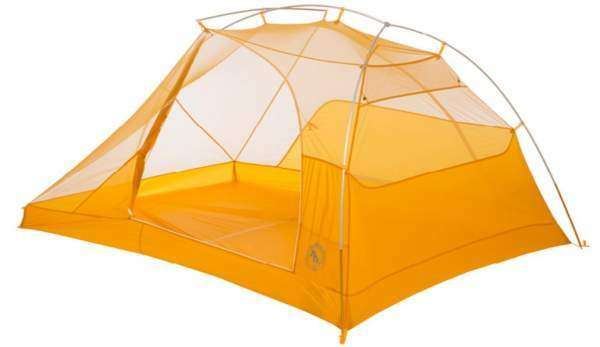 Seasons-wise, the manufacturer describes it as a 3-season tent. You have seen that the inner tent is almost completely a mesh so it cannot be a pleasant option in a cold environment. I would say this is for 2 seasons maximum, i.e., summer, late spring, and early autumn. The structure is almost freestanding, you can indeed use it without staking the feet area, but there is only one pole on the ground on the feet side. So the structure is far from strong and very stable although the poles are top-notch. So I would not use it anywhere in strong winds. The waterproof rating is low and have seen people complaining, so all in all it is better to avoid harsh tests with this tent. Capacity-wise, it can be used as described 2-person version for two people, and the 3-person version for three people. But it is also light enough to use the former as a solo tent and the latter as a 2-person tent. Easy setup with the hub design. A bit small for the declared capacity. There are too many reports of water getting in so this cannot be ignored, waterproofness is not the best feature of this tent. I have decided to show you how the 2-person tent UL2 compares with some of its competitors. Comparing the UL3 with other tents is pointless, it is hard to find any other even close to its weight. So here is the Big Agnes Fly Creek Platinum HV 2 and Marmot Force 2. 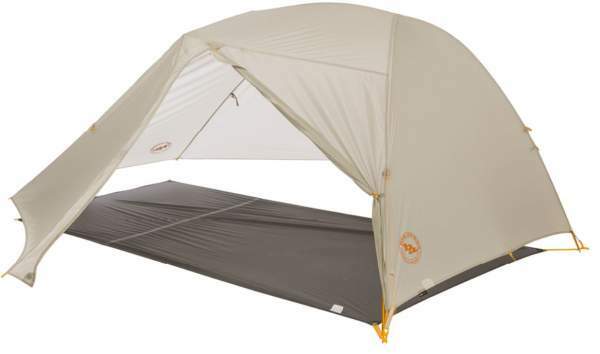 As you realize, regarding the weight the Tiger Wall UL2 is not a match for the Fly Creek Platinum HV 2 tent. But the latter is with one door and one vestibule and this makes lots of difference, so check the vestibule area to realize this. Note that I use the packed weight for all the tents in the table. Please follow the links to check for the updated prices. So regardless of which of the two sizes of the Big Agnes Tiger Wall UL Backpacking Tent you check, this is the lightest 2-door 2-vestibule tent they have built so far. It is one of the lightest on the market in general. It is best to use it in a dry area and without strong winds. This tent offers far more comfort than what you might expect from such an incredibly light item. This includes two large doors, great headroom, two vestibules for storage, and many pockets. You might want to compare it with this Exped Mira II HL Tent built in a similar style. Check my lists with the best 2-person backpacking tents and 3-person backpacking tents if you want more options to consider. For all other types, please check my page with tents. This is not a sponsored text and I am not paid by the manufacturer. Please use the comment box below in the case of questions or comments. Have a nice day.